Pink Lemonade : J'Adore the Mulberry Miniature Schnauzers! 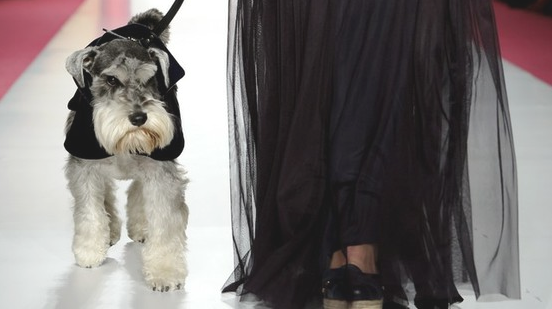 J'Adore the Mulberry Miniature Schnauzers! I've been having a love affair with Mulberry lately: their ads are sublime and their bags, well, simply drool worthy. But when I came across pictures of their recent London Fashion Week shows, I just about fell over. 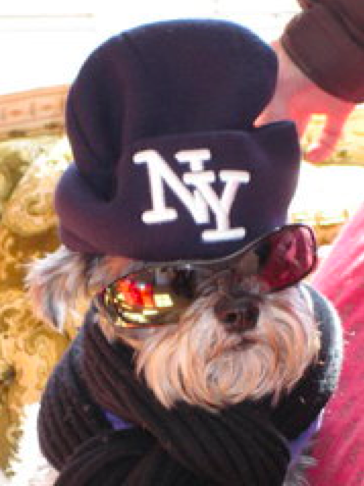 I adore miniature schnauzers, we have one in the family, her name is Lily. Apparently the dog's name is Pippa. Doesn't she look deliciously cranky on the *dog* walk? All I can say is Pippa better watch out, as she has serious competition here in Canada. After all, Canada is known for breeding some of the world's top supermodels and our Lily is a real looker! P.S. You can watch the video of the show here! This Week: Aimee's Grande Paris Adventure Part III "Pink Champagne Bubbles"